Every so often, your lawn will need some nourishment to maintain steady growth and health. Fertilizing is an essential component in maintaining overall plant and lawn health. Fertilizing will create naturally occurring minerals in the soil that will help plants and grass grow healthy and consistently. As the nutrients are released from the fertilizer, the root systems will fill in any bare patches, depriving weed seeds from germinating. Step 1: We apply a pre-emergent weed control/fertilizer application in April, to help prevent weeds and crab grass. These can can quickly spread throughout the lawn if not treated. Weed usually do not start growing until May, when the soil reaches about 60 degrees. This is why it is important to start the prevention process in early April before they begin to grow. Step 2: We use our Lime and Weed control in May. Adding lime to your lawn will help you lawn grow, as it balances out the acid that builds up over time. Fungus diseases tend to live and grow in lawns that are acidic. Liming your lawn will eliminate acid, prevent the outbreak of fungus, and allow your grass to grow healthy. Step 3: Fertilizer and Weed Control in June will help boost your lawn while also controlling the weeds that can outbreak and take over the lawn. Step 4: Grub control, usually takes place in late July, as that is the time they are at their most dangerous. Grubs are the larval stage of several large species of beetles. The adult beetle will lay their eggs in late May and June in the most attractive lawns. The eggs will hatch and start feasting on the roots of your grass, all the way through October if you do not stop them. In order to prevent any damage from your lawn, it is best to call us in July We will apply long last grub control, which should defend and protect your grass from damage. Step 5: Fertilizer and Weed Control takes place in late August or early September, and will boost grass growth for the final stretch of the year while also controlling the weeds. It adds valuable nutrients to the soil of your plants and grass. With more nutrients added to your soil, your soil will be able to fight off diseases and kill off insects. 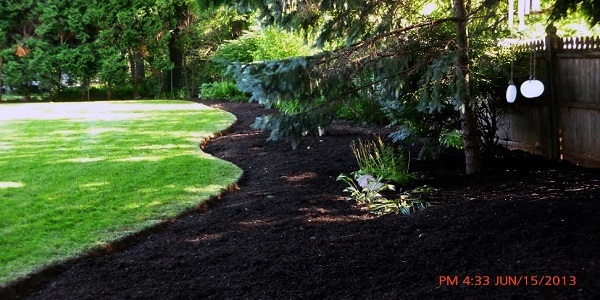 Step 6: Winter Fertilization will help guard your lawn and soil during the cold winter months. Because your soil is well guarded during the winter time, by the time spring comes, your soil will be strong enough to fight off weed and insect buildup! Fertilizing your grass, almost year round, is essential in maintaining a healthy, prosperous lawn. 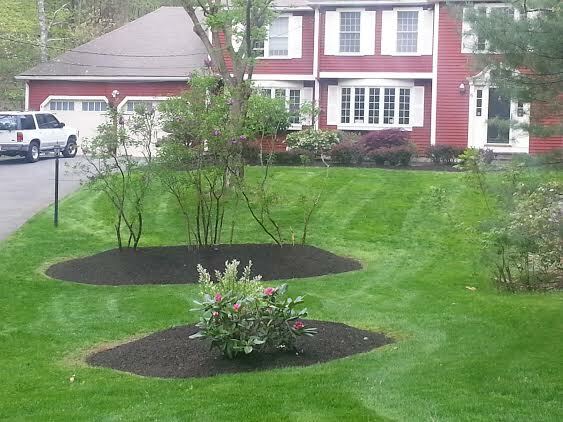 "...yearlong fertilization, to weekly mowing, trimming, weeding, hand-edging and mulching to fall cleanup, tree/shrub trimming and winterization. Adam has always been professional, courteous and friendly and his staff is second to none. We had 3 other companies that did not compare in the quality of work while keeping costs at a minimum."